Photo by Scott Robert Lim. Photo by Brian Smith with the new FE 24-70mm f/2.8 GM lens. 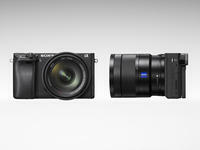 The new Sony FE 24-70mm f/2.8 GM G Master lens. Attention Sony Shooters! 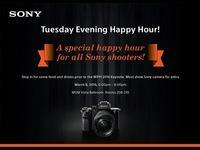 Join us for a special Happy Hour prior to the March 8th Keynote at WPPI! Mike & Jeni, the real-life newly-married bride and groom from the Sony Wedding Bash at WPPI 2016. Sony Wedding Bash at WPPI 2016. Congratulations to Mike & Jeni!